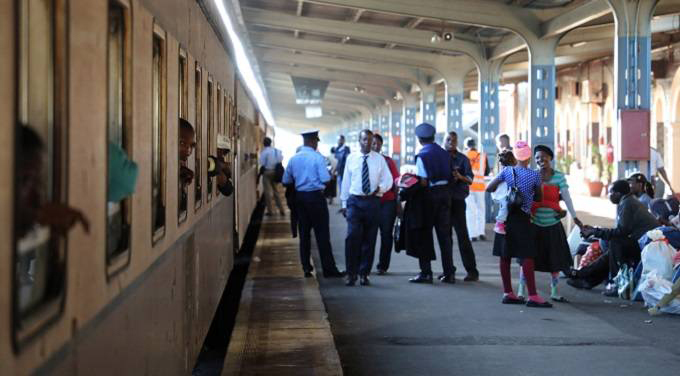 ZIMBABWEANS this week welcomed the decision by Government to introduce a subsidised urban mass transport system, giving relief to commuters who were being charged exorbitant fares by commuter omnibus operators who enjoyed a virtual monopoly. Government targets to increase the fleet to over 200 buses by the end of the week as more private players come on board. The Zimbabwe United Passenger Company (ZUPCO, through a strategic arrangement with private players, co-ordinates the new transport system of more than 140 buses that will cover all suburbs in Harare, and will also extend to other towns and cities. With conventional buses, commuters are paying a dollar for a single trip in Harare as well as $1,50 and $2 for a single trip to Chitungwiza and Norton respectively. The commuter omnibuses were charging $5, $6 and $7 for the respective trips. This development, hopefully, could signal the return of an effective public transport system in the country. After deregulation, transport operators opted to invest in cheaper small buses and commuter omnibuses. Unfortunately, the commuter omnibus operators failed to regulate themselves to instil professionalism in the sector. The public transport system in Harare has proven to be a nightmare for residents of the capital. Motorists and pedestrians have suffered at the hands of both commuter omnibuses and illegal pirate taxis commonly known as ‘mushikashika’. The kombi business has become the most rowdy sector in the country, with the law of the jungle as their modus operandi. Running battles between the spike-carrying police and public transport providers have left many injured, with some even dead. They arbitrarily hiked fares, in recent days doing so twice a week. The rains had become a bad omen for commuters as fares would triple once the heavens opened their floodgates. Passengers hailed the introduction of conventional buses as these cushioned them against high transport costs. Rudo Chimutwe from Mabvuku said Government has introduced a good programme that should be extended to other cities and towns. “This is a welcome move. Whats more impressing is Government’s commitment to this initiative,” said Chimutwe. “The initial schedule had ZUPCO only, but now we have more buses such as Trip Trans and Mandaza, among others, plying as late as 10pm,” said Chimutwe. A Domboshava farmer, Sixpence Shonhiwa, applauded the new move, urging Government to make it a permanent provision. “We hope this initiative is not short-term,” said Shonhiwa. Briefing journalists in Harare recently, Information, Publicity and Broadcasting Services Minister Monica Mutsvangwa said the new system will enable passengers to use various forms of payment including cash and plastic money. “The modernisation of the mass public transport system will ensure low-cost, efficient and professional service to the commuting public as well as reduce the country’s fuel costs and decongest the central business districts as buses carry more people compared to smaller forms of transportation,” said Minister Mutsvangwa. Economic analysts have concurred, urging Government to take this move as an opportunity to modernise the country’s transport system. 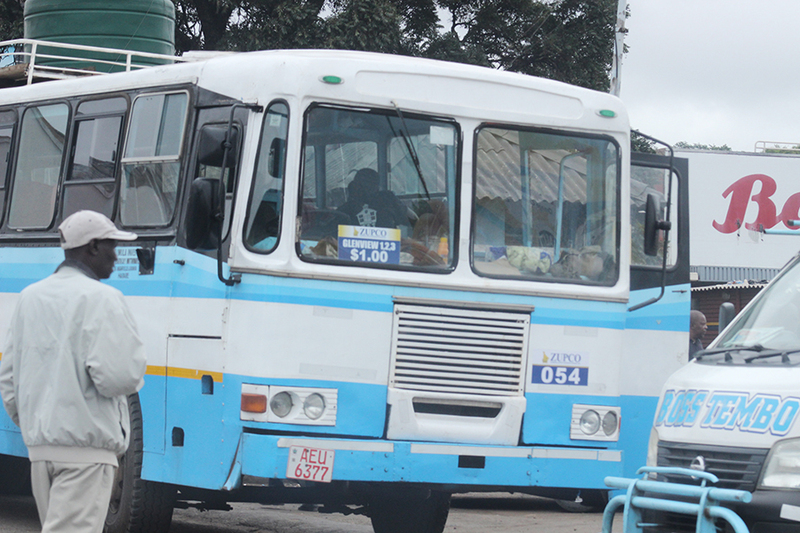 “We need to resuscitate the urban transport system,” said a local businessman, Luke Mapako. A proper urban transport system should have a mix of trains, large and small buses. One train can carry commuters who can be carried by 20 to 30 buses, and potentially replace 200 small buses. Zimbabwe is the only country, with Harare the only city in the region that entirely depends on a private public transport system. “The problems associated with that are for all to see as roads are congested and overused, there is a battle for parking space, there is a huge demand for fuel as many engines are running at any given time,” said town planner Percy Toriro. In neighbouring countries, such as South Africa, cities such as Durban, Cape Town and Johannesburg all have well-developed railway systems complemented by bus systems. Kombis are there as a complementary service and not as the mainstay of public transport. Rural and urban planning expert Nyasha Mutsindikwa has researched and written extensively on how Harare could ease the current challenges that include congestion, overcrowding and the perennial water shortages. A number of issues need to be addressed when it comes to the transport system, among these being safety, jamming and pollution. Thus, the onus is now on Government and the private sector to investment in railway and conventional buses if Zimbabwe is to have an efficient public transport system.